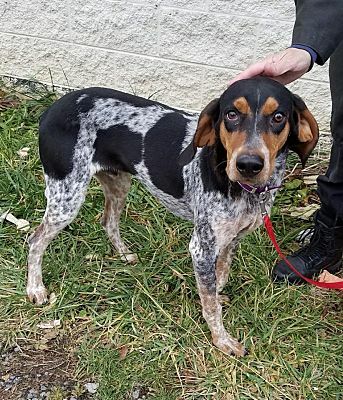 Known for its striking coat and pleasant personality, the Bluetick Coonhound is a breed of medium-sized dogs used for hunting, but can also be kept as family pets. 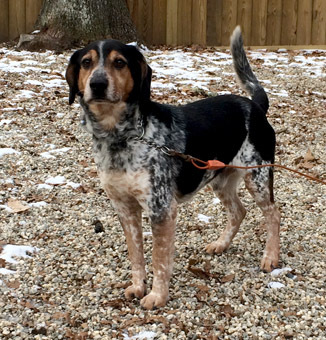 It is a well-muscled hound with a slightly domed skull, long, deep muzzle, large, round eyes, low-set ears, straight, well-boned legs, strong hips, and firmly rooted, moderate length tail carried high with a half-moon curve. 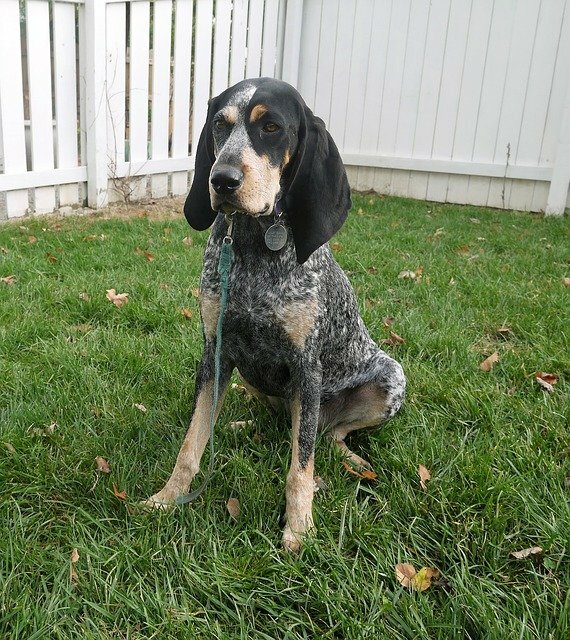 The ancestry of Bluetick Coonhound is said to date back to the period before the origin of America when French staghounds (Bleu de Gascogne) were gifted to George Washington by the Marquis de Lafayette. Being large and heavy, these dogs were easily followed on foot. 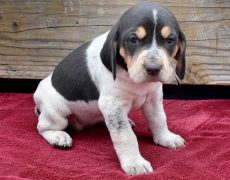 Breeders crossed these dogs with some English Foxhound and several other hound breeds to produce a meticulous hunter that can follow a scent trail several days old. 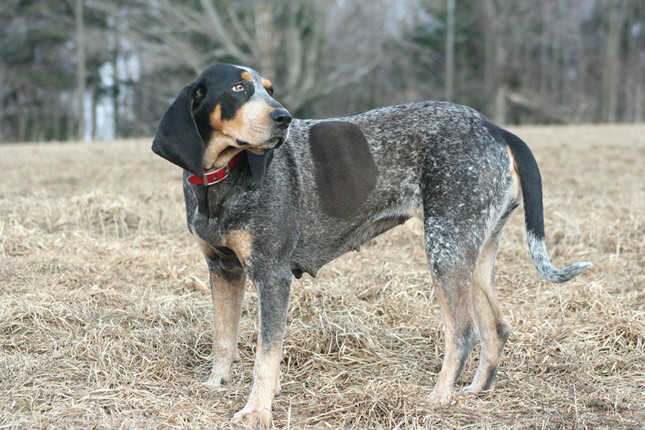 During the early 20th century, Bluetick Hounds were used as hunting dogs to kill a wily raccoon, as well as pack dogs for hunting large quarry like lynx, wild boar, cougar, and bear. 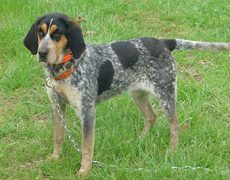 The breed has not changed since then, and they are still considered an excellent hunting companion. 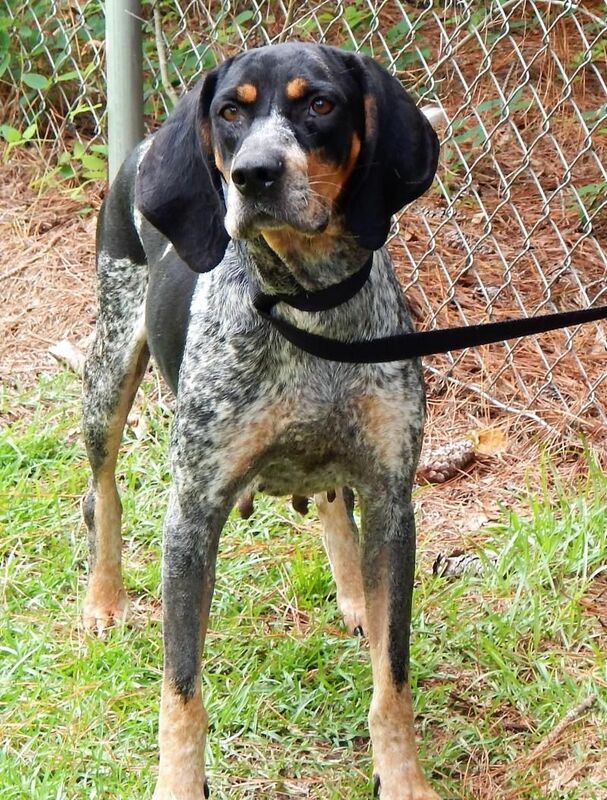 The droopy-eared charm and pleading expression of the Bluetick is irresistible for dog lovers. It is always willing to please and is devoted to people who provide affection. 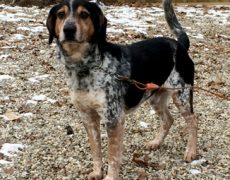 Although it is a fierce hunter, it can be a friendly housedog too that loves its family. 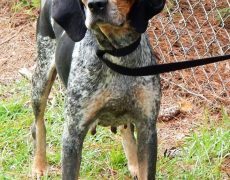 It may chase animals like cats, rabbits, and other smaller pets because of its tremendous prey drive. 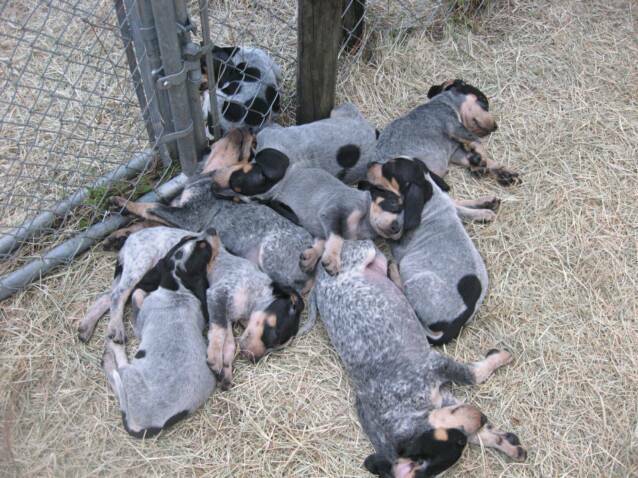 If underemployed, neglected or left alone for long periods, the Bluetick Coonhound can have behavior problems. It can become reserved with strangers unless socialized early. 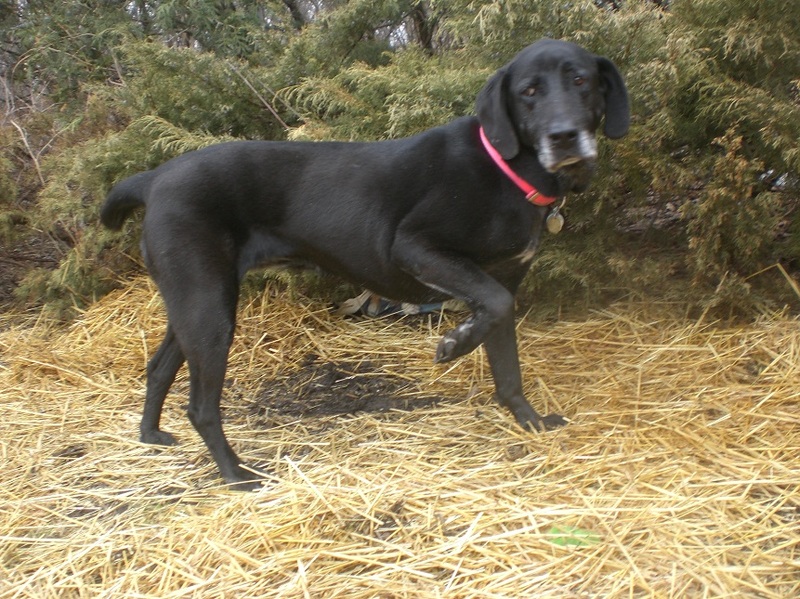 It is a kid-friendly dog that does well with younger children if trained at a young age. 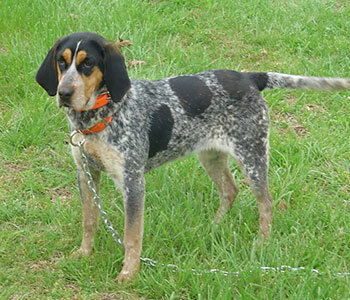 As an energetic, hunting dog, the Bluetick enjoys plenty of activities. 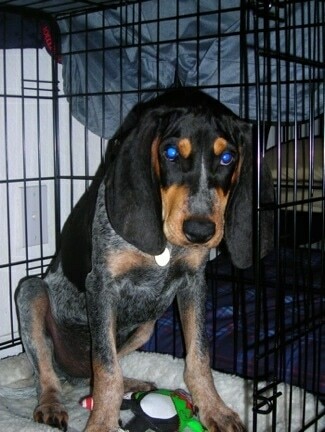 Long walks on a leash and play sessions with its owner in a fenced yard will keep it physically and mentally satiated. 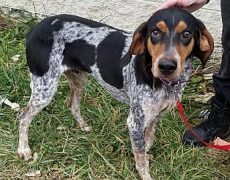 Aside from hunting or field trials, the Coonhound’s energy can be channelized into dog sports, including tracking and agility. 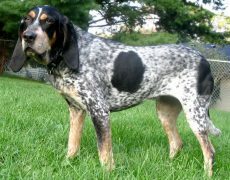 The Bluetick’s coat needs weekly brushing using a medium-bristle brush. 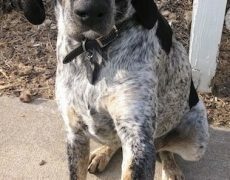 You may also use a hound glove or rubber grooming mitt to remove its lose hairs. 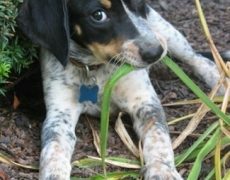 While it requires an occasional bath with vet-approved dog shampoo, you may frequently trim its nails to prevent them from becoming overly long. 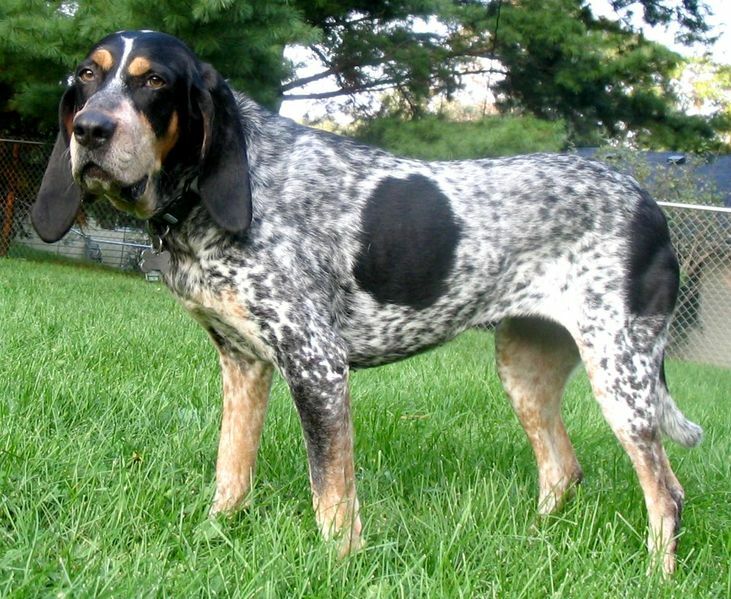 Being a deep-chested dog, the Bluetick is susceptible to bloat. 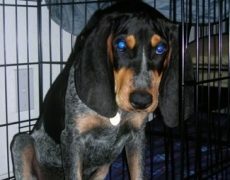 Its low-hanging ears are also prone to bacterial infection. 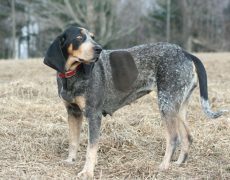 As an intelligent hunting dog, the Bluetick can be difficult to train and so you need to be firm and consistent with training. 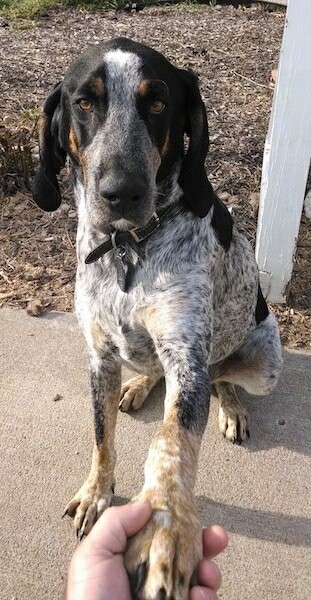 Once trained, it remains mindful of its owner. 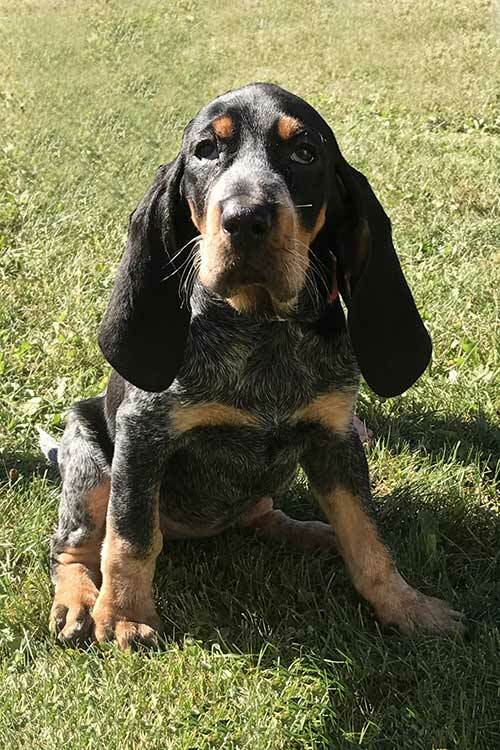 Your Bluetick Coonhound puppy should be cuddled and handled by as many people as possible, but make sure that the contact is gentle and pleasant for your pup. Tell your friends, neighbors, or guests to hold it in different positions, rub its muzzle, finger its feet, and stroke its back and sides gently. Take your dog to the park or the pet shop so that it can have successful interactions with other dogs. 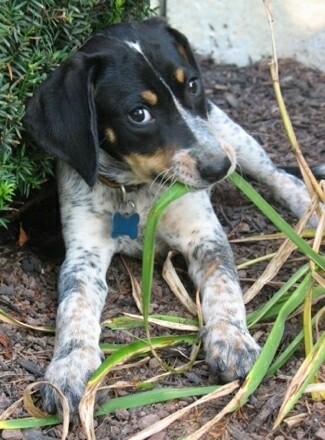 Have a stash of treats handy and anytime it has a positive interaction with another pet, give it a treat. Let it wear the collar and leash for short periods in the house. 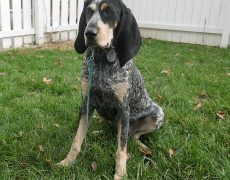 You may play with it or give it treats so that your Bluetick Coonhound associates leash training with food and fun. 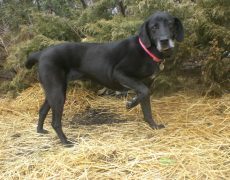 Teach your pup a sound cue while it is on a leash and collar. Make the sound in a distraction-free area, so that it looks at you. Reward it with a treat and practice it several times. After some repetitions, you will see that it will come towards you for the treat. Back up some paces and reward when it gets to you. Continue this progression until it walks with you several paces. Practice walking inside before taking it outside. 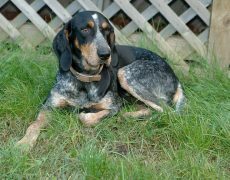 The Bluetick does well on a quality dog food, whether it is home-prepared or commercially manufactured. Make sure to watch its weight level and calorie consumption to keep it from getting overweight. 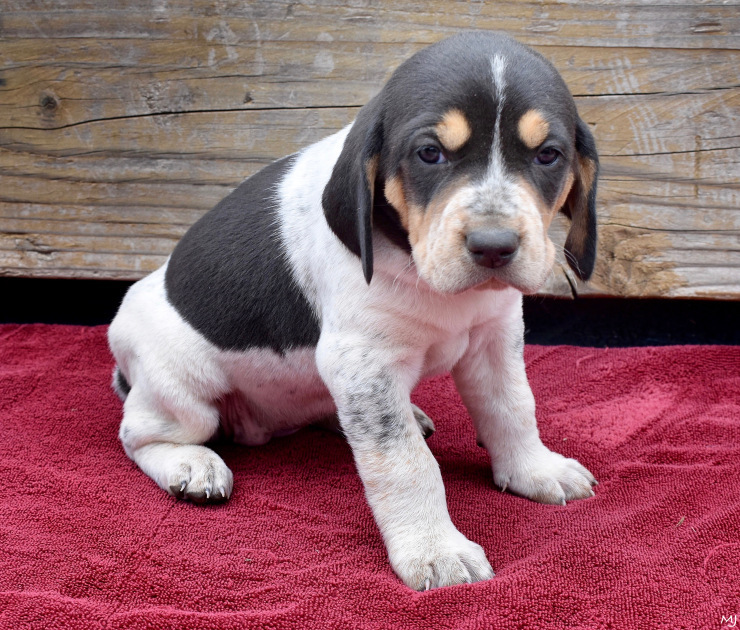 Do not give too many treats while training because it can cause obesity. 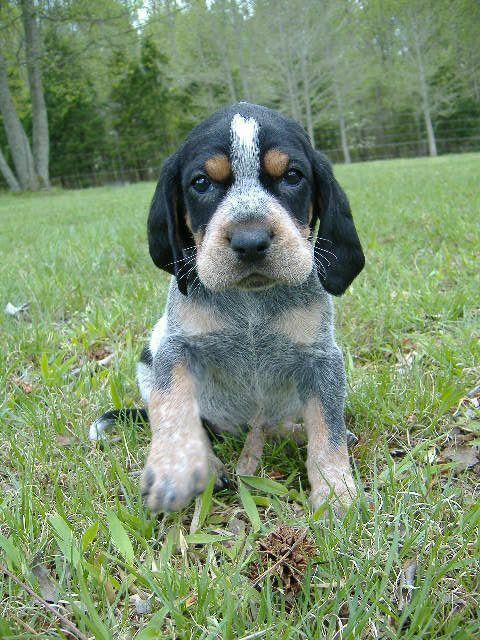 The mascot of the University of Tennessee, named Smokey, is a Bluetick Coonhound. 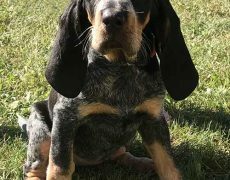 Huckleberry Hound, the fictional cartoon character, is a Bluetick. 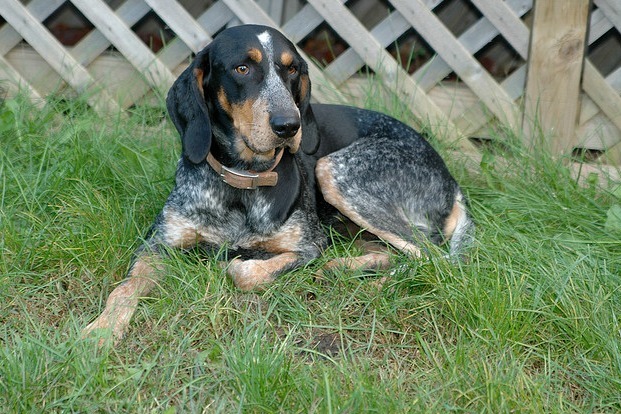 A Bluetick Coonhound, Old Blue, featured in the Elia Kazan movie, Wild River. It is mentioned in the song “Church Bells” by Carrie Underwood and in the “Sun Shines on a Dreamer”, sung by Wade Bowen. 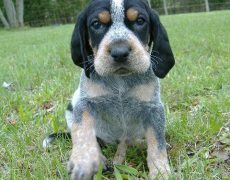 Savage Sam, the children’s novel and the sequel to the Old Yeller, is the story of a Bluetick Coonhound.